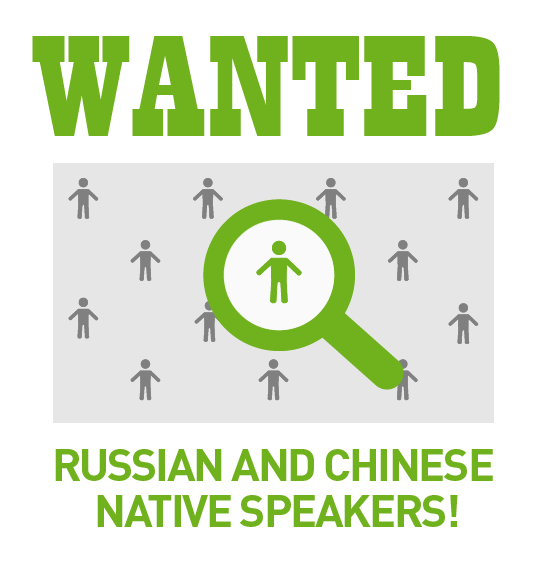 If you are a Chinese or a Russian native speaker with an excellent command in English and you wish to make some extra money, we have a job offer for you. You can work from home and you set the rhythm. – Send us your resume ([email protected]).